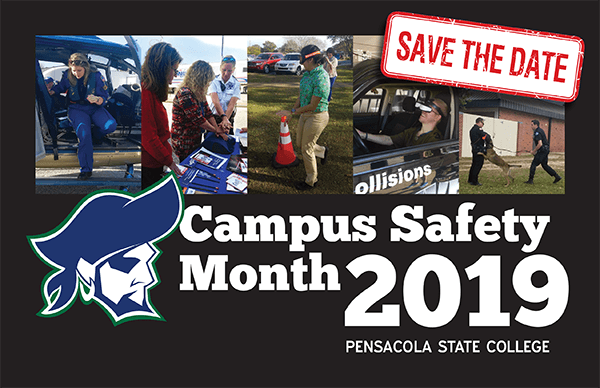 Campus Safety Month is an annual event held at Pensacola State College focused on providing faculty, staff, and students with a variety of safety resources. 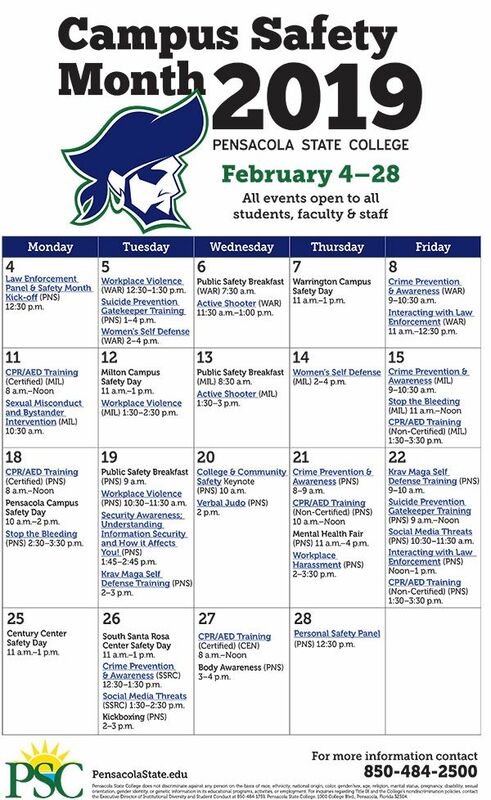 The month provides training on campus safety, off campus safety, and general personal safety through workshops, programs, and featured speakers. Some of the previous Campus Safety Month featured speakers include Kristina Anderson, a survivor of the Virginia Tech shooting and David Perry, Chief of Police at Florida State University. 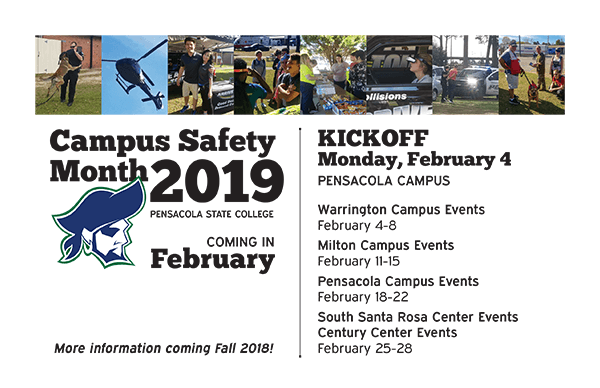 The 2019 Campus Safety Month will be held February 4th-28th and will feature workshops such as crime prevention and awareness, self-defense, emergency preparedness, and cyber security. Featured events such as our Law Enforcement Panel and Campus Safety Days will also take place. More information about Campus Safety Month 2019 will be available soon. For questions regarding Campus Safety Month, please contact the Office of Institutional Diversity and Student Conduct at 850-484-1759 or Public Safety at 850-484-2500.